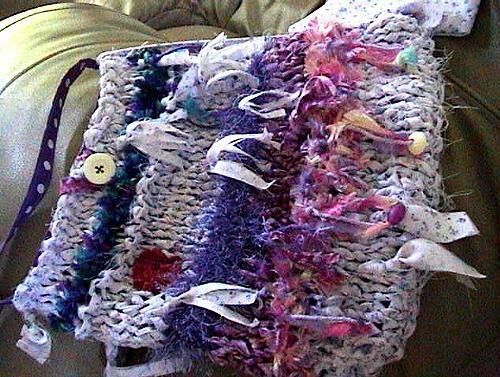 This is a Beautiful newly made purple and lavendar purse/fabric rag bag that I handknitted myself. It is 12 inches high. 11 1/2 inches wide. The strap is 33 1/2 inches total. 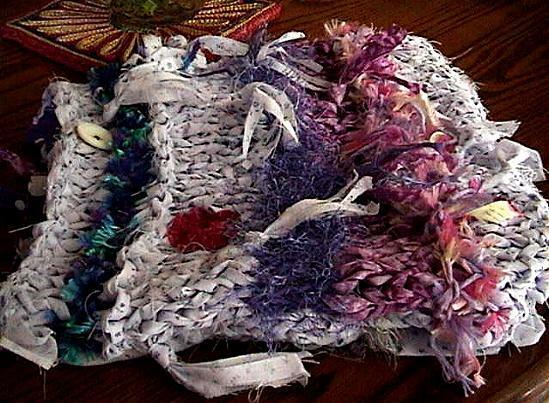 This purse is lined with a good quality cotton blend coordinating fabric. The back has a unique look with a row of fancy yarn. 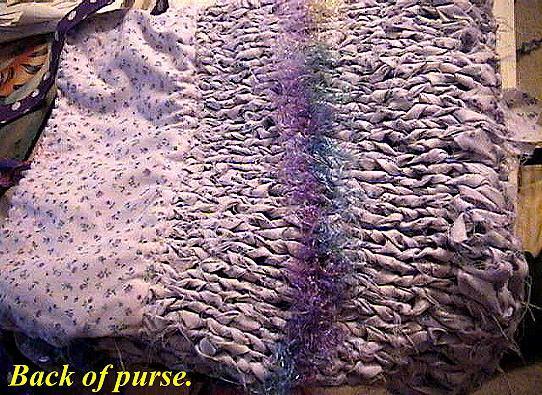 Purse is handknitted with 100% cotton fabrics. No pocket is inside. The attached cellular phone pouch is 4 x 6 1/2 inches and has velcro closure. 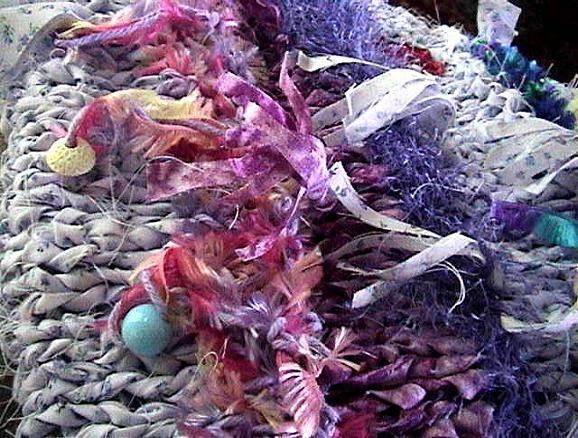 Several gorgeous eyelash fur yarns highlight the back and front of this purse. The strap is made with matching fabric. 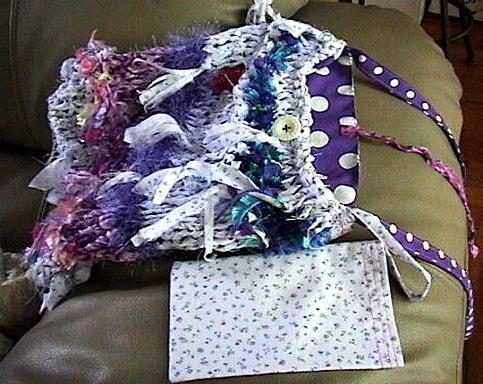 The purse closes with a fabric tie and large white button.